The unprejudiced academics that study Kurdish history are united in the view that the Kurds are an ancient race (1). 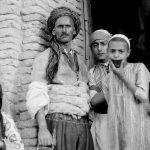 The Kurds have lived for many thousands of year’s -even longer than written documentation can reflect-in a land that has been described as the ‘cradle of human civilisation’. We need only think of Jewish and Islamic mythology, which designates Mount Judi (Cudi) in Kurdistan as the resting place of Noah’s ark (2); we know from history that in the land of the Kurds and its surrounding territories numerous advanced civilisations existed, such as that of Mesopotamia, of the Hittites, the Hurrites; the Karduchi, the Mittanis, the Parthians, and the Sassanids. Additionally, many of the world’s major religions have found their place in the land of’ the Kurds, such as, for example, Mithraism (the Cult of the Sun), Mazdaism (Zoroastrianism), mystery religions, Judaism, Christianity, Manichaeism, and Islam. Even today in Kurdistan one finds a large number of Kurdo-syncretic religious communities (3) such as the Ezidi, Kakayi (Yarsan or Ali-Haqq, or ‘People of Truth’), Alevi, Shabak, Sarayi, Bajwan, Haqqa, etc., all of whom bear witness to the fact that the Kurds are the heirs of a vastly rich cultural heritage. The Kurds have played a remarkable role in the history of the Orient, both before and after the rise of Islam in the seventh century. After the partial islamification of the Kurds, Moslem Kurds participated in the foundation of the Arabian, Persian, and Turkish Dynasties with a degree of selflessness seldom seen in any other people. To cite just a few examples: The founding of the Abbasid Dynasty on the part of the revolutionary Kurd Abu Muslim Khorasani in the year 750 C.E., Saladin (1137–1193) and his reversal of the conquest of Palestine by the Crusaders in the twelfth century; the foundation of the Safavid Dynasty (1501/ 2-1736) at the start of the 16th century by Ismail Shah Safi, son of the Kurd Sheikh Safi, leader of an order of Dervishes, and last, but not least the foundation of the Ottoman Empire, which was supported by the majority of the independent Kurdish principalities. They formally united with the Ottoman Dynasty in 1515, after the famous battle of Chaldiran, in which the Ottomans, with the help of the Kurds, defeated the Persians. Thus the Ottoman Empire began. ‘All of the educated Kurds occupied themselves with the Arabic and Persian language, while ignoring their own language'(6). Just one example: The Kurdish Moslem scholar Sheikh Marifi Node (yi) Barzinji (1733-1838) was the author of more than 46 considerable works in Arabic and Persian language (7). These works were on jurisprudence, ethics, theology, astronomy, philology and literature. Node (yi) Barzinji lived to the age of 85 and wrote only one book in Kurdish. It was a small Arabic-Kurdish glossary of some hundred words. In the introduction to this work, Barzinji tells us in Persian language why he wrote it. I cite him: “In order that my son Ahmad will be able to learn Arabic vocabulary more easily. Therefore, I have named the book Ahmadia.”(8). Kurdish is a donkey's fart. The neglect of the Kurdish language by Kurdish intellectuals is a fact, and so is the abundance of myths and legends generated on the subject. Just one more example to make the point. The founder of the Bahai religion, Bahaullah (1817-1892), who lived two years in Kurdistan (1854-56) disguised under the assumed name of ‘Dervesh Mohammed’, called the Kurdish language ‘the language of Adam’. He asserted that Adam spoke Kurdish because, in his opinion, Kurdish had ‘no grammar'(14). Bahaulla didn’t voice an opinion as to which language Adam used when he spoke to his bride Eve. It would also be interesting to know in what language Eve spoke; the prophet Bahaullah didn’t tell us. Language is an intellectual product of mankind. Every language (Esperanto excepted) began orally, as a medium for trade and communication. Historical circumstances allowing, such an oral language can develop into a written language. These circumstances are socially limited. Sometimes religious factors play part, sometimes political factors, at other times economic or psychological factors or indeed a combination of all these elements. 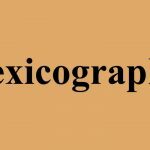 It appears to us that religious factors played a decisive role in ancient times, first in the development of spoken to written language, and then in its standardisation. 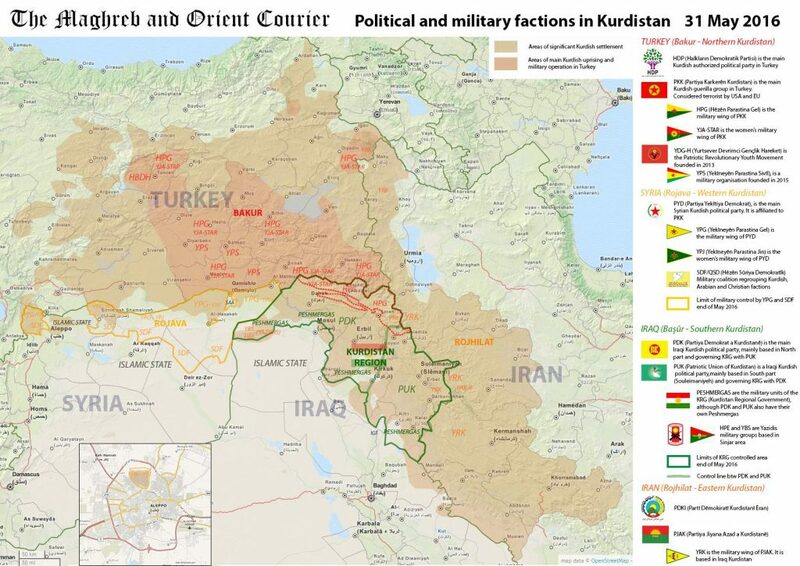 The Kurds need only to look at their neighbours to see this. The Christian missionary Mesrop Mashthotz, for example, created Armenian script, in the year 406, in order to document religious texts in Armenian. The Islamic religion, respectively the holy book of Islam, the Quran (Koran), which was revealed in the Quraish dialect, turned this dialect into the written language of all Arabs. As previously stated Kurdistan has been throughout history, and still is today, the land of the most varied religions. Research into the already mentioned Kurdo-syncretic religious communities gives us prolific evidence that in ancient times the Mazdaistic religion above all other religions was the most widespread among the Kurds in Kurdistan. As everyone who is familiar with Zoroastrianism knows, this religion is written in Avesta. ln my opinion, Avesta is a source of ancient Kurdish. I know that there are those who disagree with me on this. ln my opinion they have not studied the Kurdish language with the intensity and impartiality required, and not in its entirety. When they do, they will share my conviction that at one time Avestan must have been spoken in Kurdistan, otherwise they must find another explanation for the origin of the Kurdish language and there is absolutely no such explanation. Thus, if we can agree that the Kurds, in contrast to the ‘researches’ of the early Arabic and Persian ‘scholars’, cannot be descendants from spirits, and didn’t fall from the sky like angels, we have to admit that they are the descendants of those people who since time immemorial lived in the ancient country of the Medes, and respectively, in the earliest times practised the Mazdaistic religion, and spoke the Avestan language. Fortunately recent efforts have been aimed in this direction, which support our long held opinion, notably the researches of Kirmashan, East-Kurdistan-born scholar, Imadaddin Dolatshahi on unidentified mountains, the names of which were handed-down in the Avestan language. This author has shown, with the aid of philological explanations that these mountains are none other than those to be identified in today’s Kurdistan. I strongly recommend a study of this book, which is written in the Persian language(15). Only a small part of the Kurdish language has been researched. ln order to research Kurdish, we need to establish an Institute for Kurdological Studies. Nowhere in the world is there any sort of Institute which is really dedicated to Kurdology, not even the three Universities of South-Kurdistan (Dihok, Hawler, and Suleymani), which were established and are administrated by the Kurdish government in the so called ‘Kurdish Zone’, contain neither a Kurdological Institute nor a Department of ‘Kurdology’. There, as well as in many European universities (amongst others, in Paris), Kurdish language, literature, and, sometimes, history courses are taught. This is not, however, Kurdology. Kurdology is the study of the Kurdish language in its historical dimensions, conducted along scientific principles. 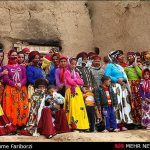 Without a thorough and systematic comparison of Kurdish to Old Iranian, Middle-Iranian, and Modern-Iranian languages, there exists no true Kurdology. It is important to know that Kurd logy in Iraq, particularly under the Baath regime, is forbidden. It was permitted to study the Kurdish language at the University of Baghdad and Suleymani (later Hawler), but to consider the Kurdish language an Iranian language or to compare Kurdish philologically to other Iranian languages was not allowed and is not allowed to this day. To do that meant and means ‘separatism’ and ‘Shuoubia'(16) for lraq. But now there are three universities under the control of the Kurdish government (in the Kurdish zone) and 1 is sure that there are possibilities at least at the Saladin University to have Kurdology. 1 would ask the Education Minister of Kurdistan to do his best to disjoin the Department of Kurdish Studies from the Faculty of Literature and to establish an independent Faculty or University for Kurdological Studies (17). The difference between what “Kurdish Studies” are and what “Kurdological Studies” must be clear to anyone concerned. Let us come back to our subject who is to trace the Kurdish language from oral tradition to written language. The movement of the Arab warriors under the banner of Islam, shortly after the death of the prophet Mohammed, which aimed to overthrow the Sassanid and’ Byzantine Empires, placed the Kurds who lived between these territories in the centre of this theatre of war. The resistance of the Kurds against the new religion lasted centuries, but bit-by-bit the majority of the Kurdish people became gradually islamified. As we have already mentioned, in that era the Kurdish language and culture had been neglected by Kurdish intellectuals, so much so that the great Kurdish poet and philosopher Ahmadi Khanie (1650/51–1706/7), the ‘Shakespeare of the Kurds’, wrote 300 years ago his novel ‘Mam and Zin’. He criticized in it the educated Kurds and bitterly complained that the Kurds had become ‘orphans’, and that the neglected Kurdish language was ‘copper’ (in comparison to ‘gold’ for the reigning language). Those Kurds who did not accept Islam as their religion had a different view of Kurdish language and culture. The following fact is worthy of mention: the Islamic Arab rulers who occupied Kurdistan and recognised Zoroastrianism as a ‘Book Religion’ for a short time, rallied against this Mazdaic faith, branding it as ‘heresy’. Those Kurds who remained faithful to their old religious ideas were forced underground and had to practice their beliefs in secret. There then came into being in Kurdistan those Kurdo-syncretic religions already mentioned (Ezidi, Yarsan, etc.). The Islamic Kurds adopted Arabic as their religious language while continuing to use Kurdish in their daily life as the main means of social communication. On the other hand, the non-Islamic Kurds, who practised their various faiths, still hung onto the Kurdish language for their religious cults and traditions. As to the setting-down of a written script, the Ezidi developed their own secret script in which they wrote their holy books, the ‘Jalwa’ (Revelation), and ‘Mahaf-Rash’ ( Black Book). The other religious communities, such as the Yarsan, for example used Arabic script in its Persian form when they transcribed their Kurdish language religious psalms. ln the imagination of the Ezidis, they themselves were created from the seed of Adam, as Adam was androgynous (simultaneously male and female), while all other peoples are the product of the marriage between Adam and Eve (18). The village of ‘Lalish’, on top of the eponymous mountain (in the district of Shekhan, Central-Kurdistan) is holy to the Ezidis because this mountain is believed to be the first dwelling place of God, after which God tarried three thousand years in a ship at sea (19). According to Ezidi imagination, God visits their religious community once a year, in the spring, to correspond with their New Year’s festival ‘Sarsal’, which is always celebrated on the first Wednesday ‘of April. He visits them in order to discuss the fate of the coming year, that is, to give them the New Year news of the earth and all that dwells upon it’ and to close a ‘Customs’ or ‘Pay-toll’ contract with them. God speaks to them in Kurdish (20). The devotees of Yarsan see themselves in a somewhat similar light. They believe that their religious community is the only one in possession of the ‘unspeakable secret of God’. The Islamic prophet Mohammed would have withheld this ‘secret’ from them, but the angel Pir Binyamen, chief of the ‘Seven Angels’ of Yarsan, who functions as “alter ego” for God, was given this ‘secret’ by God himself and He gave it to the Yarsan devotees in the Kurdish language(21), thus making Kurdish a holy language. Aside from this, there are many mythical figures in the Yarsan religious beliefs, such as Baba-Nawus, Sultan Sahak (both incarnations of the divine being), and the Kurdistan-born mother of God Dayirak. The mother of God, who brought Soltan Sahak into the world through ‘immaculate conception’, is identified with a Kurdish maiden belonging to the Jaf-Tribe. Hannelore Küchler, who has scientifically researched the way the Kurds view themselves, has shown in her remarkable analysis conducted for her doctoral dissertation for the Freie Universität Berlin, that the Ezidis, Yarsan, and similar religious communities in Kurdistan are ‘Kurdish groups with a high degree of self-centeredness”(22). She contends that the above-mentioned dogmatic representations depict a possible ‘unconscious reaction to the derogative (disparaging) hypothesis held by Arabs regarding the origins of the Kurds'(23), who, as already mentioned, employ phantasmagorial explanations when they ascribe to the Kurds and’their language the status of “second-class citizens” and “second-class language”. The foundation of Islam and its expansion in Kurdistan in the seventh century after Christ caused a decisive turning point in Kurdish history. At this time the Kurdish syncretism religious communities first seized the initiative thus, before their Moslem fellow countrymen – to create a written language out of purely spoken Kurdish. Because amongst the Kurds there were many syncretism religious communities and no unifying institution, each religious community transcribed its orally transmitted religious tradition in its own local dialect and script. Thus developed various written traditions. 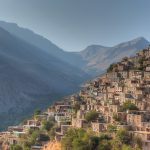 The Gorani dialect played a special part in this; the oldest Kurdish texts from the Islamic time are from documents handed-down to us- those very religious texts, which were written in that dialect. They were, namely, the holy psalms of the Yarsan, such as ‘Dawra-i Bahloul (Bahloul Period), documented approximately eight hundred years after the death of Christ (24). The writing- down of the religious texts of the Yarsan started around that time and continued until the sixteenth century. These texts represent independent books, of which the most important is considered to be ‘Daftar-i Pirdivari’ (Pirdivari Text), because it was supposedly written by the above-mentioned Sultan Sohak. Most of these texts are written in rhyming prose, and all are gathered in a single book under the title ‘Saranjam’. Saranjam contains as weIl some prose texts, which report on the history of the Creation and the religious cult of the Yarsan. The section in rhyming prose is known as ‘Klam’. The rhyming prose verses are to be recited to set melodies. Some sections of the “Saranjam” have been published by the Teheran-based Kurdish scholar Sadiq Safi-Zadeh Borakayi, who examined them and partially provided a Persian translation(25). For me is Kurdish sweeter still. Thanks to the mighty Kurdish principality of Ardalan, the Yarsan religion and its ‘holy’ language Gorani-Kurdish advanced in all directions within Kurdistan. Although there were other powerful Kurdish principalities that adhered to the Sunni faith, and were opposed to that of the Yarsan, many Kurds turned to the Yarsan religion. In the sixteenth century, violent and radical religious and political upheaval occurred in Kurdistan, which decided the fate of the Yarsan religion, the Kurdish language, and the Kurdish people. We know that the Ottoman Dynasty which was founded at the end of the twelfth century and professed the Sunni Muslim faith waged war in the name of that faith against all other faiths, the Christians and Shiite Muslims included. In the early sixteenth century, the previously mentioned Ismail Safavi founded a Shiite Dynasty in Iran and raised himself to the position of chief warrior of this faith. Both Dynasties (the Ottoman and Safavid) brutally punished the followers of their opponents. As most of the Kurdish principalities were of the Sunni faith, and the Safavid Shiites were, in turn their professed enemies, the Ottomans had little difficulty in making allies of the Kurds. With military assistance from the Kurds, the Ottomans attacked the Safavid state and captured and destroyed its capital Tabriz. The Kurdish-Turkish ‘brotherhood of arms’ led to a political alliance. On 9 August 1515 the Ottomans and the Kurdish princes signed a treaty, which agreed on the union of their regions of influence. Thus was the foundation stone for the later Ottoman Empire laid. The treaty contained a passage in which the internal independence of the Kurdish regions was guaranteed, a passage that was not adhered to by the Ottoman sultans. It is interesting to know that, despite their religious mutual animosity, the Ottomans and the Safavids later collaborated in order to destroy the internal sovereignty of the Kurdish principalities, into which they (the Ottomans and Safvid) installed their own representatives to hold positions of power. ln 1639, the Ottomans and Safvid united, and, in accordance with the Treaty of Zahaw (Zuhab), divided Kurdistan up amongst themselves. Additionally, both sides made efforts to set the Kurdish princes off against one another. The principality of Ardalan, which in view of religion was neither Sunni nor Shiite, was placed in a very precarious position. In order to protect itself it had, an the one hand, to come to an arrangement with the king of ‘Iran’, then, on the other, with the Ottoman Sultan. 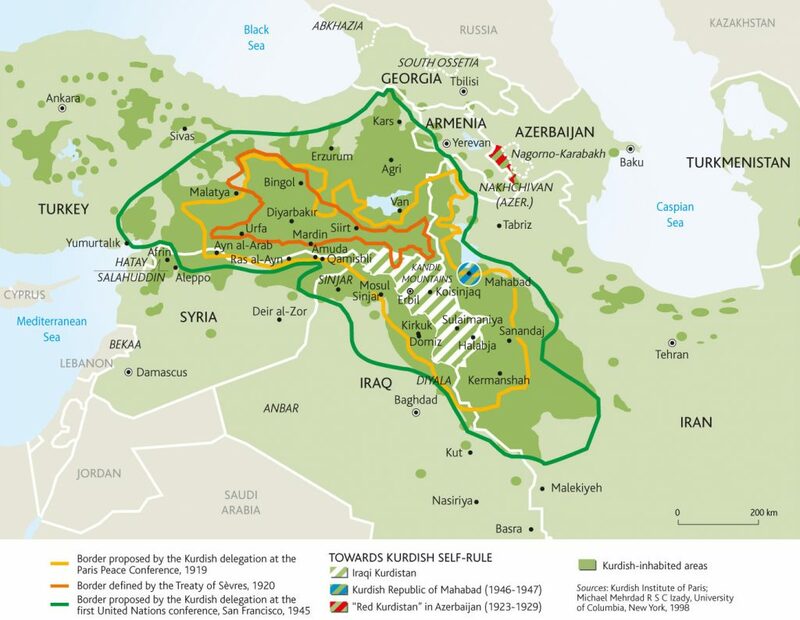 In such a situation, the further expansion of the Yarsan religion and Gorani Kurdish within Kurdistan was unthinkable. 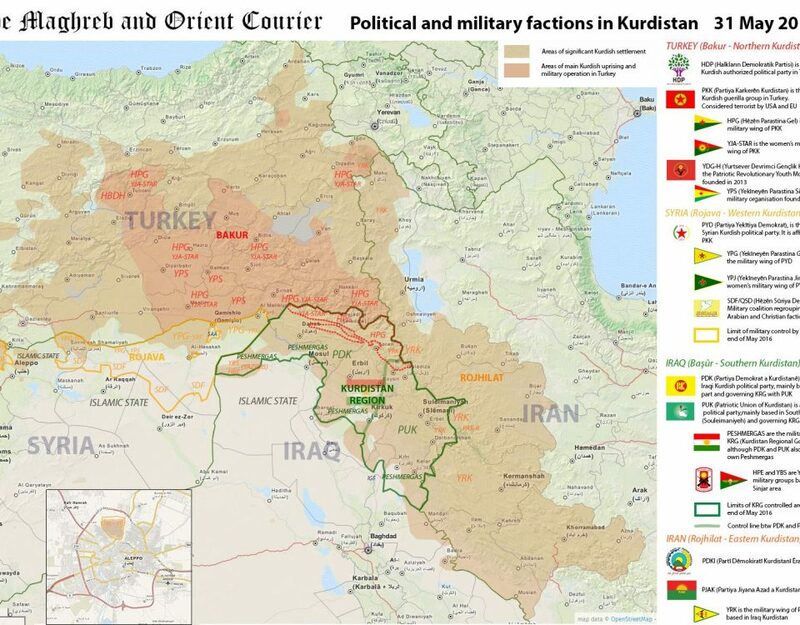 It is worth mentioning that the Ottoman and Iranian pressure on the Kurds had other consequences. The intellectual Kurds within the Kurdish principalities who were now dependent upon the Ottoman Sultan developed a great sense of nationalism. That was accompanied by a contribution to Kurdish language and culture. In the sixteenth century the North-Kurmanji dialect became a written language. This process started in the northern principality of Botan, and expanded gradually into the northern part of Kurdistan. The educated Kurds there then began to concern themselves with the Kurdish language and culture, to nurture both, and to spread their national traditions. This is significant in relation to the work ‘Sharafname’ (1596/97), written by the Kurdish prince and scholar Sharafaddin Bitlisi (1543–1603)(28). Although he wrote this work in Persian, it has interesting and novel contents. It deals with the history of the Kurdish principalities and gives an insight into Kurdish traditions and customs. In it, many Kurdish lineages are named, and the mythical heroes of the Kurds – such as Rostam and Gorgin are mentioned. What is remarkable is that ‘Sharafname’ defines the borders of Kurdistan, and it does so as if it were one united land(29). When ‘Sharafname’ discusses Kurdish language, literature, and lineages of heritage, differences are also reported. Thus existed in Kurdistan two written languages: Gorani in the east and south, and Kurmanji in the north. Taken as a whole, the disunity of Kurdistan, and its division into many principalities, the lack of a unifying state or central power, the absence of a unifying religion, the politics of the Ottomans and the Iranian rulers who propagated animosity amongst the Kurdish princes, all allowed for no opportunity for the Kurds to forge one official written language out of one of the two main dialects. Apart from that fact, a new power walked onto the stage of Kurdistan in the nineteenth century, which reduced the Gorani dialect once again to the status of a purely oral mode of language. Towards the end of the eighteenth century, the principality of Ardalan allied itself with the kings of Kajars in order to free itself from Ottoman influence. Thereafter, the Ottomans called upon their ally, the Prince of Baban, to support them against the Ardalani princes. The Babanis could easily take over the Ardalan territory and enlarge their own principality. Because the Babanis spoke Middle-Kurmanji-Kurdish (Sorani), this dialect now received the opportunity for great expansion, particularly after the Babani Prince Ibrahim Pasha built the city of Suleymani in 1784 and made it his capital. The eighteenth century saw the rise of the Sulaimani-variation of the Central–Kurmanji dialect. Of the greatest poets and writers who worked in this form of Kurdish, which had been newly–elevated to the status of a written language, the following are notable: Mahwee (1830–1904); Kurdi (1812-1851? ); Salim (180-1869); Nali (1800-1857/58); Sheikh Raza Talabani (1837-1909); Wafayi (1844-1914); Koyi (1817–1896/96); and Salmi Sina (1845-1909) (36). Although the Sulaimani-variation of the Central-Kurmanji dialect became a multi-regional written language the conclusion can clearly be drawn that the ‘Mother Dialect’ of most of the great Kurdish poets was in fact the Gorani dialect. Important regions of the Gorani Kurds, such as Kirkuk, Kifri, the Sirvan River region, Khanakin, Zardiawa (Karadagh), and various Goran tribes such as the Jabari, Talabani and Zangana have as well abandoned their original Gorani dialect. Of the Gorani dialect, only a few poets remain. Among them, however, there is an outstanding exception: Mawlawi Tawgozi (1806-1882). With the absorption of the Arladan principality into the Kajar dynasty in 1867, no great sphere of activity in Gorani dialect remained. Thus, this beautiful and rich dialect lost its place as a literary language in East and Central Kurdistan, and became the ‘language of old women in the corners and alleyways of Sanandaj’, as the Kurdish academic and researcher Said Khani Kurdistani reported(37). The new Sulaimani dialect-variation was created as a consequence of the mixture of the Sharazour dialect, which was the dialect of the Ardalani Kurds, with the Kalatshwalan dialect. Kalatshwalan was the early capital of the Babani princes. The Sulaimani Kurds’ tendency to expand continued. Nowadays, the best writers and poets of the Goran region write in Sulaimani dialect; amongst them, the famous Muslim cleric Mala Abdulkarim Mudarris and both his sons, Mohammed and Fatih. It is further worth noting that the greatest innovator of Kurdish poetry, the greatest poet of the Kurdish modern times, Abdulla Goran (1904/5? -18 November 1962) wrote in the Sulaimani dialect. As a consequence of the suppression of the Kurdish national uprisings against the centralist power of the Ottoman Empire in the middle of the nineteenth century and the dissolution of all of the Kurdish principalities such as the mighty principality of Botan, the North-Kurmanji dialect could not assert itself in either East or South Kurdistan. The above-mentioned dialect remained the written language of the North Kurmanji-speaking Kurds, and was promoted by the Kurdish intellectuals and those cultural institutions, which, at the end of the nineteenth century, were founded by ‘North-Kurmanji-speaking Kurds’. Including that first Kurdish newspaper ‘Kurdistan’ which first appeared in 1898 (38). 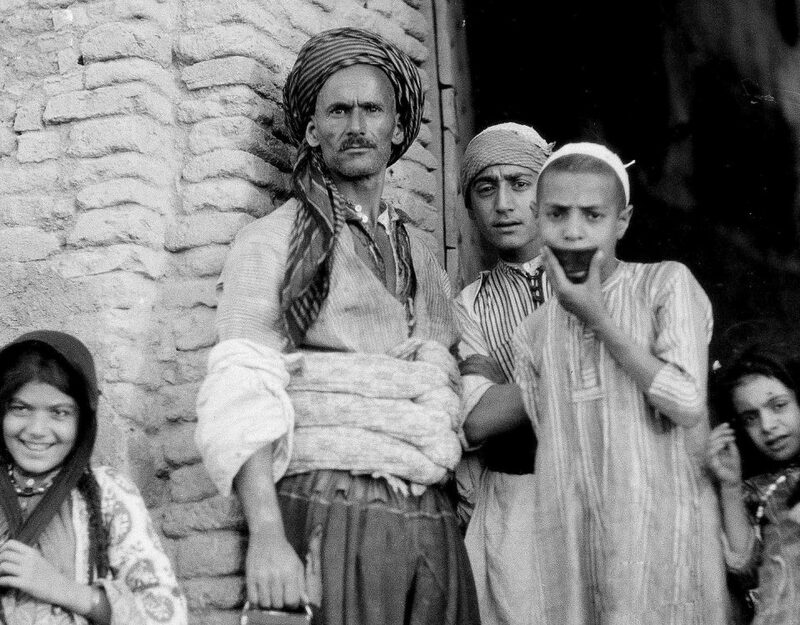 After the violent division of Kurdistan as a result of the First World War, the Kurdish language was confronted with the new colonial circumstances and conditions. The Kurds were prevented by the allies (Great Britain, France and Italy) from establishing their own state. Kurdistan was divided amongst five new colonial states created or consented to by super- powers in accordance with their strategic and economic interests: Turkey, Iran, lraq, Syria, and the USSR/ Azerbaijan. The new national states in the hands of the Turks, the Arabs and the Persians, artificially set up with the help of the European `victors´ have attempted to assimilate the Kurds culturally, where they have not been able to eradicate them militarily. Since language is one of the strongest factors in national identity, all these states which had and still have without exception military or other forms of un-democratic governments, have either completely banned spoken or written Kurdish, or have only barely tolerated its usage under stringent controls. Turkey has from the outset, as part of its so-called ‘Turkification-Politics’, consequently forbidden the use of the Kurdish language, and punished its usage vigorously. The seventy years of constant, burdensome oppression have rather empowered the national conscience of the Kurds but have impaired the cultivation and development of the Kurdish language. The North Kumanji dialect (Jazira dialect), which despite all these difficult circumstances is used as the written language of the northern Kurds, has encountered and still encounters, many internal-linguistic problems. 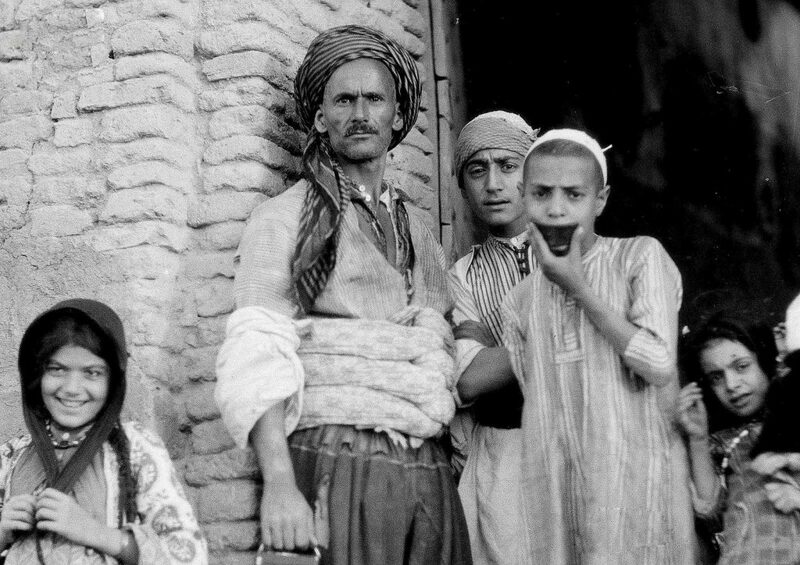 ln Syria the intellectual Kurds, particularly the members of the Bedirkhani family, took advantage of the presence of the French mandate of power in Syria and Lebanon to serve the Kurdish language. ln addition to the publication of some magazines in Kurdish, such as Hawar, Stér, Roja Nu, and Ronahi, Jeladet Bedir Khan (1897-1951) has developed a sort of Latin script for the Kurdish language (North-Kurmanji dialect), which is still used amongst the North-Kurmanji speaking Kurds. This alphabet shows various flaws, particularly regarding certain sounds that exist in other dialects, but which have no written counterpart in the alphabet of Bedir Khan. So, for example, the rolled ‘r’ and ‘e’, in order to be able to differentiate ‘Ker’ (donkey) from ‘Ker’ (kerr = deaf), and ‘Gel’ (people) from ‘Gel’ (gell = distance between the legs). ln any case, all these publications and activities were forbidden when the French left the territory. 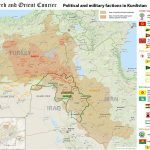 The French left Southwest Kurdistan without any particular guarantees for the Kurds, from the newly founded Arab national state of Syria. ln lraq, the Kurds were more active regarding the cultivation of their language than their fellow countrymen in their neighbour states. They had a better chance and position. After the First World War the Kurds of South Kurdistan were able to found a kingdom under Sheikh Mahmoud Barzinji (1882-9 October 1956). At first Sheikh Mahmoud was recognised as the governor of South Kurdistan by the British occupational powers in Baghdad. When the Kurdish people elected Sheikh Mahmoud King of Kurdistan, it led to clashes between the British and Kurdish forces, and South-Kurdistan was annexed with British military power into one of the newly founded Arab national states, lraq. During the approximately five years that the Kurdish state existed under Sheikh Mahmoud, the educated Kurds served the Kurdish language. The ‘Kurdish government published some Kurdish newspapers(39), and established some Kurdish schools for boys and girls. The occupying British power published, as well, their own Kurdish-language newspapers: ‘Tegeyishtini Rasti’ (The Comprehension of Truth) and ‘Peshkawtin’ (Progress)(40). Two Englishmen, Major Soane and Major Noel, who were members of the British occupational forces, contributed to the cultivation of the Kurdish language. Major Soane wrote a Kurdish grammar book(41) as well as a textbook in Kurdish(42). He even gave ‘reward money’ to any person amongst the Kurds who could write an article for the newspaper ‘Peshkawtin’ in Kurdish that was equally understandable to all its readers, whilst using proper Kurdish vocabulary. The official Kurdish was the Suleymani dialect. Following the establishment of the ‘Kingdom of Iraq’, the ‘Law of Local Languages of 1931’ allowed the population of the annexed South Kurdistan some cultural rights which, however, were not completely practised. Despite this, Kurdish intellectuals attempted to nurture and further develop the Kurdish language. The first step was the modification of the so-called Arab-Persian alphabet, with the aim of producing a modern phonetic alphabet system for the Kurdish language, which could express in writing all the language’s sounds. ln order to do this it was necessary to add to the Arabic lettering certain accents and diacritics in order to take into account certain Kurdish sounds that don’t exist in the Arabic language. The champion of this cause was the Kurdish philologist and army officer, Colonel Tofiq Wahby (1891-1984). His scientific and highly remarkable efforts were soon met with refusal when confronted with the Arab rule nationalistically oriented lraqi Ministry of Culture. The reason given was that no ‘foreign accents’ or Kurdish “caps” could be placed on the ‘holy Arabic letters’, the letters in which the Qur’an (Koran) is written. It is worth mentioning that the so-called Arabic letters originally were neither Arabic nor Islamic. They already existed in pre-Islamic times, and were derived from the Old Aramaic script, i.e. from the ancient language of the Jews. Despite of the fact that the Kurdish press, and the schoolbooks which were printed for Kurdish primary schools by the lraqi government could not employ this alphabet until the end of the 1950’s, this alphabet, which was modernised and adapted for the Kurdish language, was nevertheless known amongst the Kurds. There was something else the abovementioned Wahby at his time heal endeavored to do. It was in the early 1920’s when he enlisted the Latin alphabet for the use of Kurdish in a form that leaned heavily an English linguistic usage. His efforts then were also unsuccessful, because the lraqi government, using Islamic religious arguments likewise forbade the dissemination of a “European-Christian” script in Muslim Iraq. ln connection with this, it should be pointed out that Wahby held eight ministerial posts in the lraqi government. It should be noted that Wahby’s Latin alphabet, like that of Bedir Khan (whose alphabet relied less on English linguistic use than on that of the French and Turkish alphabets), displayed several flaws. Had these two scholars collaborated, the Kurdish people today would in all probability have a better Latin alphabet. In Iraq, all Kurdish press, radio, and publications were, until the collapse of the monarchy on 14 July 1958, solely in Sulaimani dialect, which is called, erroneously, “Sorani Kurdish”. As a consequence of the carelessness of the “Sorani Kurds” with regard to the North Kurmanji dialect (called ‘Badinani’ in lraq), the North Kurmanji-speaking Kurds remained weIl isolated from the teaching of the Kurdish language and the Kurdish press. The lraqi government had, for its part, supported this unhappy circumstance, in order to divide the Kurds, and, thus tighten its reign over them. It should be mentioned at this point that the Kurds in Iran were influenced by the development of the Kurdish language in lraq. The cause of this lies in the fact that, from the beginning, the Kurds in Iran had a strong political relationship with their lraqi Kurdish fellow men. Apart from that fact, there is a very close relationship between the dialects spoken in Iranian Kurdistan (Mukri, Ardalani, Laki and Kirmashani) and the “Sorani dialect” of Iraq. In addition, the Iranian Kurds use the same alphabet, as the lraqi Kurds. As to the modified Kurdish-Oriental alphabet, it was first brought into print in the year 1345 H. (1966/67)(43), when an anthology of poetry was printed using these modified letters. It did not happen earlier because political pressure against it was too great, and also because the economic costs were too high. Because the Iraqi Kurds, who write in the so-called Sorani Kurdish, make much use of the vocabulary, idioms, and terminology of the Iranian Kurds, and especially of the Mukriyani dialect, some kind of standardised written language has come into being in Iran and lraq, which one may refer to as “Middle Kurdish/Kurmanji”. The situation regarding the Kurdish language at the time of the Soviet Union must not, in addition, be overlooked. Under Lenin, and until the end of the 1920’s, the area of Kurdish settlement had the status of an autonomous region, and was known as “Red Kurdistan”. For purposes of writing in this region, Armenian script was first used, followed by Latin script. Afterwards the autonomous status of “Red Kurdistan” was revoked, and it was annexed to Azarbaijan, and the Stalin regime and the power-brokers of Azarbaijan persecuted the Kurds. The very word “Kurd”, and, correspondingly, the speaking of the Kurdish language were banned in Azarbaijan. Among the eight Soviet republics in which Kurds lived at that time, only Russia and Armenia allowed the Kurdish language to be cultivated. Educated Kurds in both these republics tried to promote the Kurdish language, although in both republics they were forced to use the Cyrillic script when writing in Kurdish. None the less, one can say that Kurdish written both in Latin and Oriental script was not alien to them. Through their contacts with Kurds from Iran, lraq, and Syria, as weIl as from neighbouring Turkey, the ‘Red Kurds’ were able to bring into being a beautiful written language based an North Kurmanji dialect, but also containing many traits of Middle Kurmanji dialect. Minorsky, V. : The Kurds, in Encyclopaedia of Islam, Leiden, 1927. Driver, G.K.: The Dispersion of the Kurds in Ancient Times, Journal of the Royal Asiatic Society of Great Britain and Ireland (JRAS), 1921, Part Four, pp. 563-572. Driver, G.K.: The Name Kurd and its Philological Connections; JRAS, 1923. Ahmad, Jemal Rashid: Tarikh el-Kurd el-Qadim (`The Ancient History of the Kurds’) — in Arabic – publication of the Saladin University, Hawler, 1990. Ahmad, J. R. : Dirasat Kurdiyah fi bilad Subartu (‘Kurdish Studies in the Country of Subartu’) — in Arabic – Baghdad, 1984. Nikitine, Basil: Les Kurdes, Paris, 1956. Syncretism is the coalescence of several religions into a new one. Here a differentiation must be drawn between a syncretic religion and a mixed religion. 1 would like to compare a syneretic religion to a musical ensemble in which every musician plays a different instrument and sounds notes which are individually distinct, but which, taken as a whole, produce a unified musical piece. Abdul Karim Mohammad el-Modarris: Ulamauna fi Khidmat el-‘lim wa-l din (‘Our Scholars in the Service of Science and Religion’) — in Arabic — edited by Mohammad Ali el-Qaradaghi, Baghdad, 1983. The three Kurdish scholars were: Dinawari, Sha(h)razouri, Amedi (Imadi), c.f. Morteza Motahari: Khadamat-e motaghabel Islam o Iran (‘The Mutual Service between Islam and Iran’) — in Persian. Shamsaddin Sami: Qamus ul-Aalam (‘Index of Proper Names’) in Turkish-Osmanian – Volume 5, Istanbul 1314, p. 3842. Sheikh Mohammad Khal: el-Sheikh Maaruf el-Nudahi el-Barzinji (‘Sheikh Maaruf Nudahi el-Barzinji’) –in Arabic – Baghdad, 1961. Sheikh Marifi Node: Ahmadi , 2nd edition, Sulaimani, Jiyan Printing Press, 1935. Mohammad Amin Zaki: Tarikh el-Duwal wa-l imarat el-Kurdiyyah (‘History of the Kurdish States and Principalities’) — Arabic translation by Mohammad Ali Awni, Cairo 1367h. 1948. Abdulraqib Youssuf: Hidarat el-Dawlah el-Dostakiyah fi Kurdistan el-Wusta (‘The Civilisation of the Dostaki State in Middle Kurdistan) in Arabic volume 2. El-Masudi, Abu el-Hasan: Muruj el Dahab wa ma’adin el-jawahar, Les Prairies d’Or. Edition: Barbier de Meynard et Pavet de Caurteille, révue et corrigée par Charles Pallet, Töme Sécond, Beyrouth, 166, p. 249. Firdosi, Abolqasem: Shahname. Edition by Joannes Augustus Vullers, 1st Volume, Leiden, 1873, p. 36, Verses 37-38. Khuja Sadaddin: Taj ül-Tawarikh (The Crown of the History). Istanbul, 1279/80 h. (1862/3), p. 26, c.f. also: Salnama-i Vilayat-i Djyarbekir (Yearbook of the Province of Diyarbekir) – in Turkish-Osmanian – 1301 h. (1884), p. 138. E. G. Brown: Material for the Study of the Bahai Religion Canbridge, 1961. Emadaddin Dolatshahi: Joghrafiya-ye Gharb-e Iran (the Geography of West Iran) – in Persian -Teheran 1363 h. (1984). El-Shuoubia: An Arabic word that literally means ‘people-ism’, a term which the Arabs created in the early Islamic time to signify any person or group who were not Arab, whose homelands were conquered by Arab-Moslem warriors, but who nevertheless had equal rights with the Arabs. This term is still used by usurpers and nationalists today for Kurds who want their own identity and do not want to become Arabs. The Kurdish writer Ibrahim Ahmad (1914-2000) was at the conference, as was the Minister for Education in the ‘Kurdish Zone’, Dr. Naseh Ghafour. They both suggested that the foundation of a Kurdological Faculty at an existing University in Kurdistan or the foundation of a University for Kurdological Studies should be supervised by Jemal Nebez. Theodor Menzel: ‘Yazidi’ in the Handwörterbuch des Islam, Leiden, 1941, S.808. Die Heiligen Bücher der Jeziden oder Teufelsanbeter (Kurdisch und Arabisch), Hrsg. von Maximilian Bittner, Wien 1913,S.26. Carl Brockelmann: Das Neujahrsfest der Jezidis, in der Zeitschrift der Deutschen Morgenländischen Gesellschaft 1901, Bd., 55, S. 388-89. 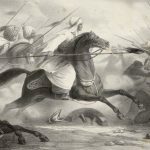 Häji Nématollah Mojrem Mokri: Shah-Nama-ye Haqiqat. Le Livre des Rois de Vérité, publié par Mohammad Mokri, Tome ler, Paris 1988, p. 202, vers 3841. Hannelore Küchler: Öffentliche Meinung. 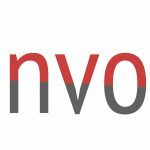 Eine theoretisch-methodolgische Betrachtung und eine exemplarische Untersuchung zum Selbstverständnis der Kurden. Inaugural Dissertation der FU-Berlin, 1978, S. 116-146. 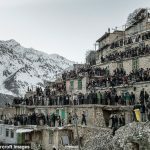 Sadiq Safizade Borakayi: Dawra-i Bahloul, Teheran 1363h. (1984/5). Sadiq Safizade Borakayi: Dawra-i Haftwana – in Persian — Teheran, 1982. Sadiq Safizade Borakayi: Pishgouyiha-ye lI-Begi Jaff (‘The Prophecies of Il-Begi Jaff’) — in Persian–, Teheran, Summer 1369h. (1991). Sadiq Safizade Borakayi:Pishgouyiha-ye Khan Almas Khan (‘The Prophecies of Khan Almas Khan’) – in Persian, Teheran, Spring 1369h. (1990). Jemal Nebez: Pêwendarêtî Kurdî (‘Kurdish Affiliation’) in Kurdish, Stockholm 1986, p. 78; Translated into German by the author, Publication of the Kurdish Academy of Science and Art, Stockholm, 1987. Scheref-Nameh ou Histoire des Kurdes par Scheref, Prince des Bidlis — publié par V. Veliaminof-Zernov, Texte Persan, Vol. I-II (1860:1862), St. Petersbourg,1860~1862. Jemal Nebez: Die Schriftsprache der Kurden, Acta Iranica, Memorandum H.S. Nyberg, Leiden, 1975, pp. 97-122. p. 99. The artwork ‘Mam and Zin’ has been translated into numerous European and non-European languages. The only German translation of the drama is the abridged version made by myself and published in 1969 by the National Union of Kurdish Students in Europe (NUKSE). A second edition of this translation will appear this year in connection with the tricentenary of ‘Mam and Zin’. This new edition of the text will include a lecture I gave on ‘Mam and Zin’ and its author Ahmad-i Khani in October 1993 in the Vienna Literaturhaus. Male Mahmoude Bayazidi: Nravi i obicay Kurdov (‘Customs and Traditions of the Kurds´), edited by Margarette B. Rudenko, Moscow, 1963. Ala-addin Sajadi: Meju-i Adeb-i Kurdi (‘History of Kurdish Literature’) Baghdad, 1952. Said Khani Kurdistani: Nizani/Mizgani (Glad Tidings) Teheran 1309h. (1930/31). Hannelore KüchIer: Ibid., Footnote 21, P. 417. These newspapers are: Umed-i lstiqlal (Hope far Independence); Roji Kurdistan (Kurdistan Appeal); and Bang-i Heq (Appeal for Justice). c.f. Hannelare Küchler, ibid., p. 418. Major E. B. Soane,CBE: Elementary Kurmanji Grammar Baghdad, 1919. E.B. Soane: Kitabi Awalamin Qiraati Kurdi (‘The Elementary Kurdish Reading Book’), Baghdad, 1920. Hasan Salah Soran: Chap-i Yakamin Kiteb-i Kurdi la Eran (‘The Publication of the First Kurdish Book in Iran’), in the Kurdish magazine ‘Sirwe’, Wurmé, May 1993, p.62.